Welcome to the Healing Art of Reiki! Reiki is a healing art that balances a person’s whole system, relaxes, reduces stress and pain, and promotes happiness and healing of body, mind, and spirit. For the Reiki Master, it is a spiritual practice which becomes a way of life. Offering Reiki healing sessions and Reiki classes is a divine gift to the world. My name is Diana Charles, owner of Know Thyself Healing Center. I am a Usui/Holy Fire III Reiki Master Teacher and Holy Fire III Karuna Reiki© Master Teacher, practicing since 1998 and teaching since 2006. Holy Fire/Usui Reiki follows the lineage of Reiki founder, Mikao Usui, and is upgraded and infused with the energies of Holy Fire. Holy Fire Reiki is a higher vibration spiritual energy that creates wholeness through purification, healing, empowerment, and guidance. As a Reiki Master, it is a blessing and honor for me to be able to offer individual Reiki healing sessions at Know Thyself Healing Center and to teach Usui/Holy Fire III Reiki classes at all levels: Reiki I & II and Usui/Holy Fire III Master (which includes Advanced Reiki Training techniques). I also practice and teach Holy Fire III Karuna Reiki© classes, which are open to Reiki Masters only. 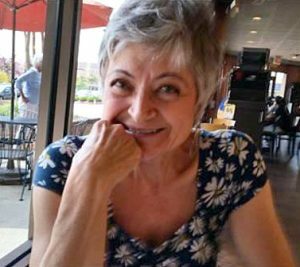 My academic education earned me a BA in English from the University of Colorado in 1980 and a Master of Education degree from the University of Wisconsin – LaCrosse in 1990. I feel so grateful for the teaching skills I advanced as an English and Multi-Cultural Education teacher at the high school and college levels from 1989-1998. 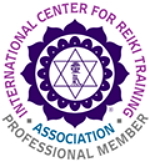 They have helped me, as a Reiki Master Teacher, to understand how students learn best in my Reiki classes. My sincere hope is that you will begin or continue your healing journey, explore this website, email or call me with questions, and come! Experience the benefits of the gentle but powerful healing energies of Reiki!